One of the first questions people ask me about Charlie is usually How does he sleep? Luckily for us Charlie has always been a fantastic sleeper at night. From birth he’s slept between 11.30-6.30am with a sleepy feed or two in the middle. The daytime has been a little trickier as he likes to be warm and cosy in my arms. Obviously as a busy Mum to 4 children a baby sleeping in my arms is lovely, but not ideal, and means he is disturbed when the door bell rings, he gets too hot or one of the other children need me. 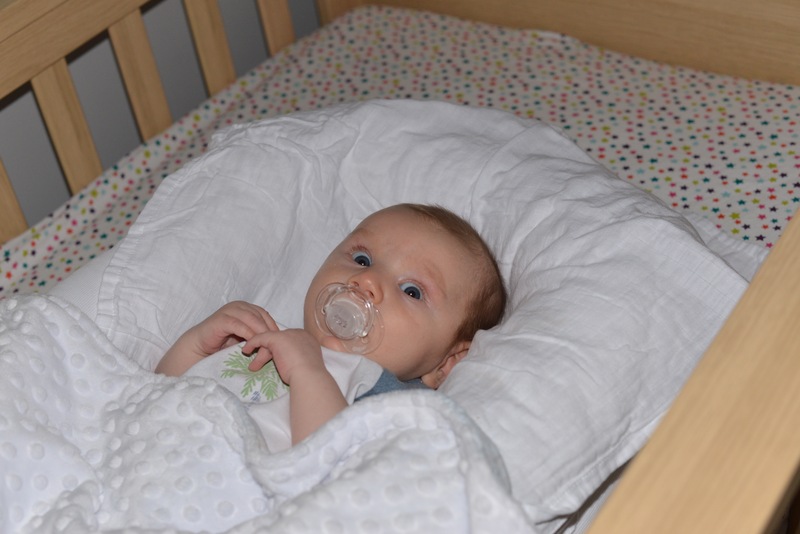 In those early weeks I tried very hard to get Charlie to sleep in his cot during the day, but he would nap for 5 minutes and then wake up whenever he heard a noise that startled him. Luckily we were sent a Sleepyhead Deluxe to try. I knew straight away that the Sleepyhead would be perfect for my snuggly little boy. It’s soft, cool and the perfect size to be comfortable, cosy and not at all restrictive. He sleeps with his hands above his head, by his side or near his ears and looks happy and snug in all positions. We have the Sleepyhead in Charlie’s cot, and I can honestly say it has completely transformed his daytime sleeping. He’s happy to lie in the Sleepyhead and chatter to himself till he falls asleep and seems to feel safer in there than he did in his cot. I’ve also used the Sleepyhead in my bed at night, so he feels close to me, but is still in his own safe space. When Charlie was very little we would put the Sleepyhead in the living room so we could keep a closer eye on him during the day and evenings. It’s very portable around the house and I will definitely be taking it on holiday with us. I’ve washed and dried the Sleepyhead cover several times now. It is a little tricky to put back on, but gets easier after a couple of attempts. If I know Charlie is having a particulary sicky day, I do put a muslin inside to protect it, but so far it has washed beautifully with even big sister’s ice lolly drips washing off easily. 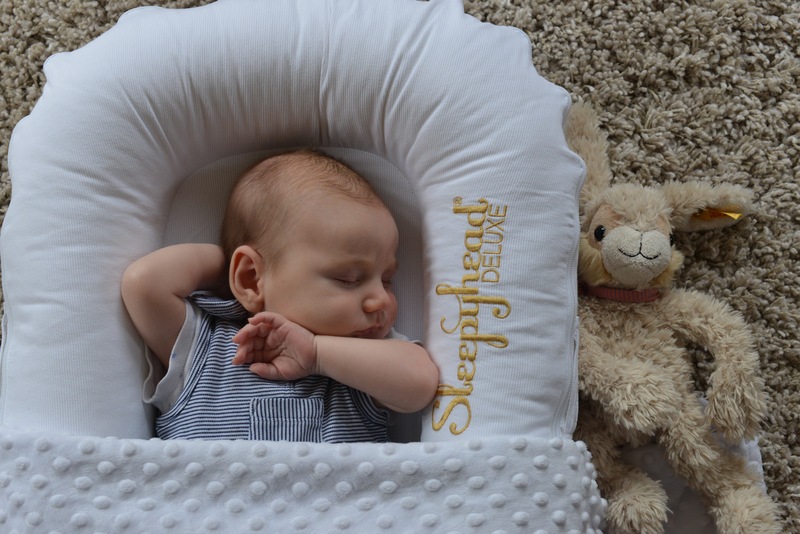 It’s been a few years since I had a baby and there are lots of fantastic new products available, but the Sleepyhead is definitely my favourite so far. 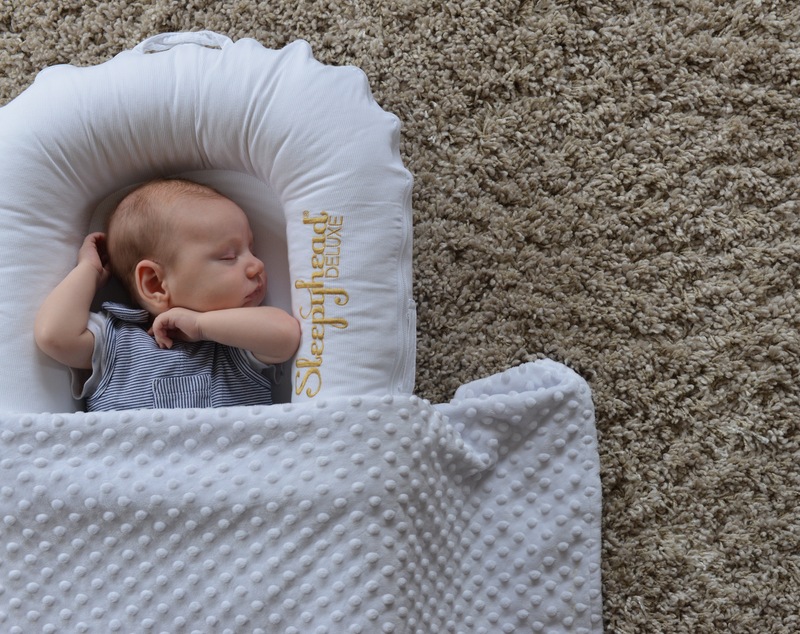 I’m pretty sure we’ll be buying the Sleepyhead Grand ( suitable for 9-36 months ) when Charlie is old enough, he now sleeps for a couple of hours in the day instead of little naps, which has transformed our day for the better. You can read more about the safety aspects of the Sleepyhead here. 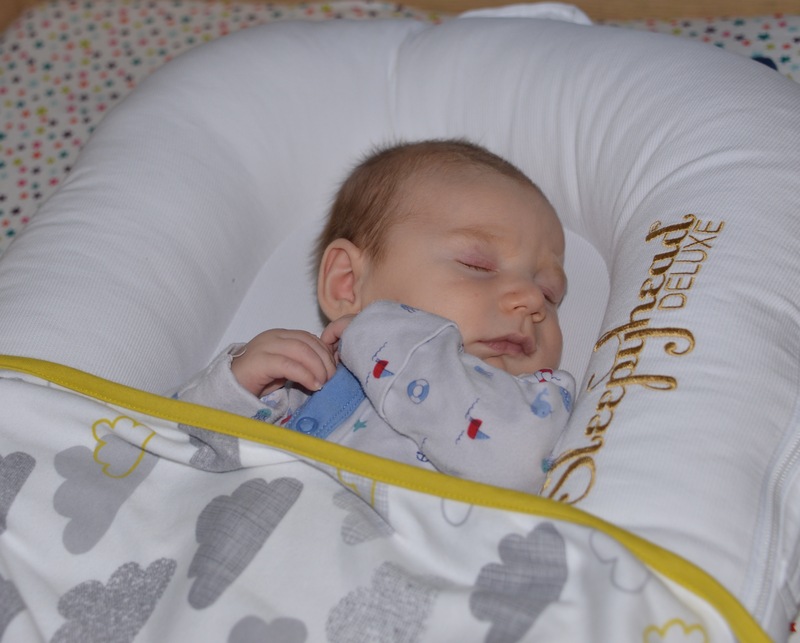 Sleepyhead is available online and from retailers such as John Lewis and JoJo Maman Bebe. We received a Sleepyhead for this review and honestly wouldn’t be without it. The sleepyhead looks like an invaluable product. I wish they had of had things like this when my eldest was a baby. He didn’t sleep much at all and we couldn’t find anything to help the situation. I’m glad you’re finding it of so much use. IT really is, we love it! He is such a sweetie! Making me broody 🙂 we never used a sleepyhead but my friend had one and loved it. Oh he is the cutest! Wow, we all know the baby sleep can be one very big problem. I’m so happy you found sleepyhead. I wish I would had it few years ago.